In the 1960s Sir Peter Cook, together with Warren Chalk, Dennis Crompton, David Greene, Ron Herron and Michael Webb, set up Avant-Garde architecture group Archigram. With this, they put forward a series of radical proposals as a reaction towards what he stated was a dull period in British architecture. 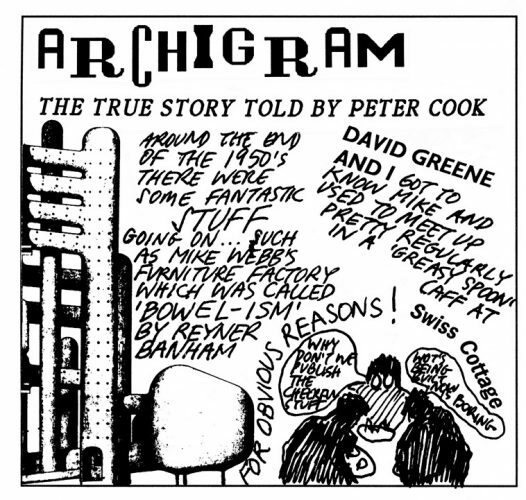 Sir Peter Cook is visiting the University of Melbourne to participate in a Melbourne School of Design Summer Intensive Studio examining the spirit of Archigram, 1960s ideas, how they might have been revolutionary, and whether they are still relevant today. You are warmly invited to this evening public lecture by him exploring these ideas and themes. Graduate of the Bournemouth College of Art and the Architectural Association in London, Sir Peter Cook has been a pivotal figure within the architectural world for 50 years. 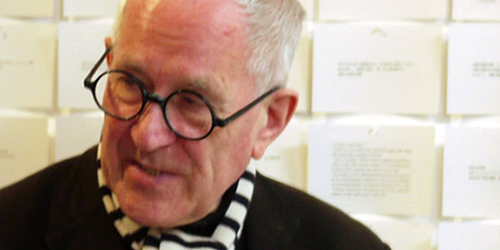 A founder of the Archigram Group who were jointly awarded the Royal Gold Medal of the RIBA in 2004. In 2007 he received a Knighthood for his services to architecture, in 2011 he was granted an honorary Doctorate of Technology by the University of Lund. He is also a Commander of the Order of Arts and Letters of France and a member of the Royal Academy of Arts.